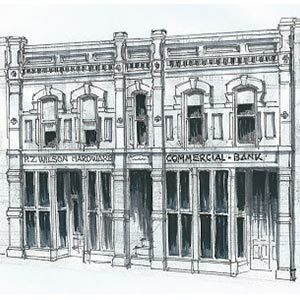 Built in 1876, William Hill & Company (1876-1890) was a business that sold dry goods and carpeting. Prior to this time, Hill was a butcher and operated a business known as The Peoples Market which sold fresh and salted meats at No. 3 Algoma Street. The Wm. 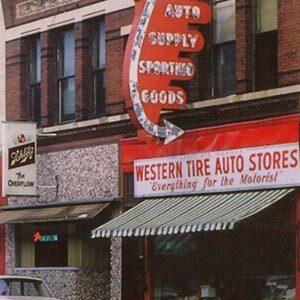 Hill logo (seen in the photo) which once stood ornately at the peak of the store front, is no longer there. Other early merchants including Hough & Topliff (1893) and Charles H. Shields and Company (1895) followed Hill in the dry good business. 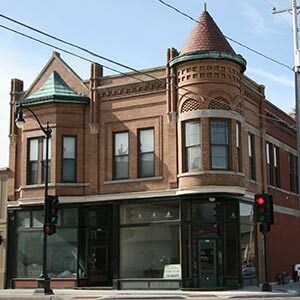 In 1900, Rudd & Company (1900-1905) operated a hardware store selling stoves and furniture here. 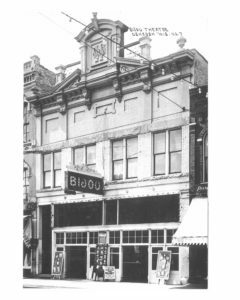 In 1905 this building’s tenant was the Bijou Theater (1905-1912). It was the first movie house in Oshkosh with projection equipment and forward facing seats. Before “talkies”, musical accompaniment during the silent film era was provided by a piano and a set of drums located in an orchestra pit. 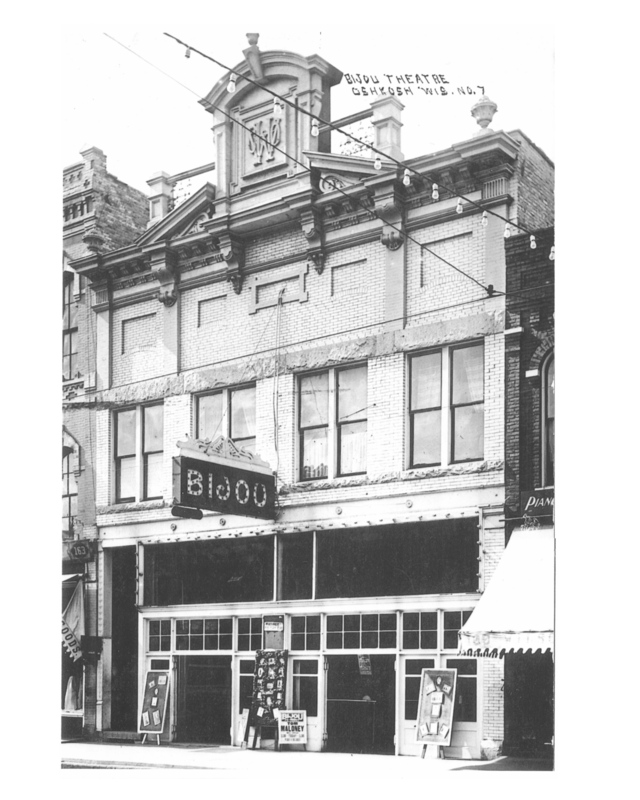 The theater also featured live plays, musical shows and vaudeville programs. Remnants of the ornate wood frame that once surrounded the screen are still tucked away quietly in a second story storage area. For the next 19 years, entertainment venues came and went including The Majestic Theater ran by Roy Cummings Amusement Enterprises and then Saxe Amusement Enterprises (1912-1924). 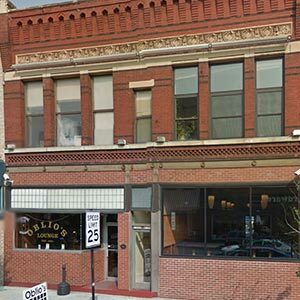 During the years of 1936-1951, the William Hill Building tenants included Lonnie’s Shine Parlor & News Stand (1936), National Tea Company (1940-1946) and Oshkosh War Supply (1951). 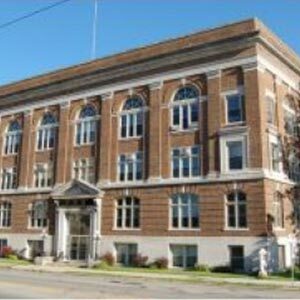 From 1955 until 1984, it was the home of a very popular young ladies clothing store named Jeffrey’s, and in 1988 it was occupied by Race Office Supplies, Inc. until 2008. Our most recent tenant is Camera Casino (2008-today), a retail business offering a wide assortment of photography supplies and services.